Robin Macy, President and CEO of Vin-T-Bikini® has announced that she will represent Camp Soaring Eagle as it’s newest ambassador. Camp Soaring Eagle is a non-profit that provides the healing power of laughter to seriously ill children by giving them the opportunity to go to a medically supervised camp at no cost to the campers and families. In 1996, Robin made her move from the west to NYC enjoying a successful career with an insurance giant. While business always drove and intrigued her, she couldn’t quiet her creative side. It emerged in her Manhattan apartment…inspired by an array of rock concert t-shirts in her closet; Robin conceived the idea of custom one-of-a-kind swimwear. Since starting her own line, Robin’s vivacity, originality and charm continue to flourish with her knack to weave elements of history and mesh them with a chic edge. After refining her concept and assessing market potential, she embarked on the founding of Vin-T-Bikini®. Robin is rapidly gaining recognition as one of the industry’s bold new designers with a bikini that conveys an uber chic look. As an entrepreneur in the international community, Robin is grateful to give back to the community at large. 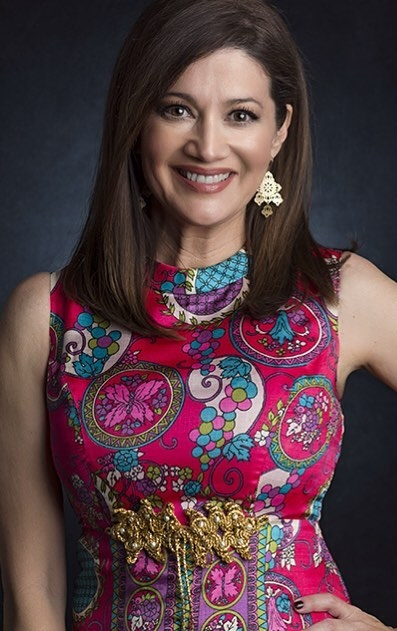 She is active on the Fiesta Bowl committee, TGen Foundation, FREE2LUV, Sojourner volunteer, Special Olympics volunteer, Autism Speaks, Hoofbeats with Heart, Aids Walk NYC, Former- board member of the YMCA Downtown Phoenix and active in many other foundations. Robin counts among her memberships and activities the NY Museum of Natural History, Wildlife Conservation Society, New York Metropolitan Museum of Art, and many other community service and philanthropic organizations. Robin’s involvement in the fashion industry has kept her involved in the fashion and beauty world. Her joy in seeing a woman look and feel their best has driven her to further empower women! Returning to her Arizona roots, Robin’ has introduced Robin Macy Wardrobe and Image Consulting to the metropolitan area.